ICYMI: Despite her soulful appeal and her habit of cooking with fat, grease, and butter, Paula Deen wasn’t the most sensitive celebrity when it came to non-white people. To wit, she made an enemy of (most of) America, lost her Food Network affiliation, lost dozens of endorsements, and kissed most of her credibility goodbye. She did, however, keep a surprising number of her fans. So, following a failed ‘Today Show’ apology, Paula Deen drifted into the easy bake oven in the sky…or so it seemed. Now she’s back, y’all — and she’s hoping to cash in with a new paid venture. Last year, Deen found herself on the wrong end of public perception — an angle she was not at all accustomed to seeing. For the first time in her life, people hated her thick accent, pearly zoomed teeth, and even those dee-lish recipes. Why? She made the admission in a deposition for a racial and sexual harassment suit filed by Lisa Jackson, a former employee who worked as a manager at Deen’s fabled restaurant “The Lady and Sons,” which sometimes still requires diners to make reservations a year in advance. Despite the bad press and negative headlines, she still had her fandom. So why not take them out for a spin and see what happens? And now PaulaDeen.com comes to us fresh out of the oven and ready to launch a subscription Web-based network in September. Based on reports, the network will feature much more than recipes and cooking shows. Glimpses at Deen’s plans include a game show, reality shows, and pretty much anything featuring her entire family. All for one word: Survival. 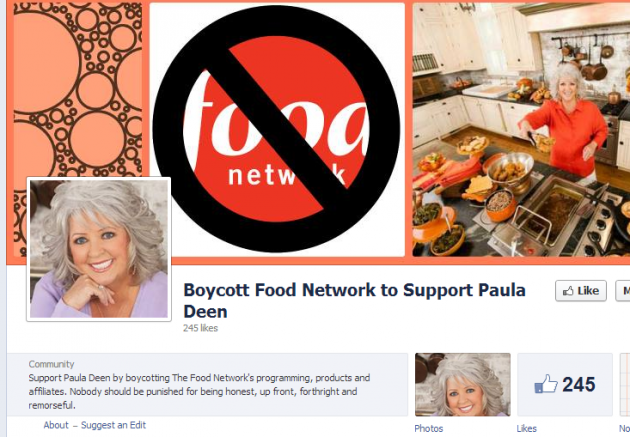 According to a press release, early registration for the Paula Deen Network will begin in July. A 14-day free trial period will be available to all users at the time of launch in September. All that got me thinking: 1.2 million followers on Twitter. 1.8 million viewers on Food Network. 4.2 million fans on Facebook. If just one quarter of those people pay $9.99 per month? That’s publicity money can actually buy, y’all!